This was one of my favorite clay projects and the kids were so thrilled with the results. 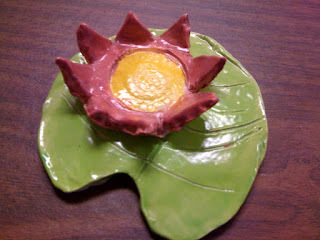 To go along with our Monet mini-unit my students made clay lily pads. They are made in 2 separate pieces. First we created the lily pad. It was a great way to introduce the kids to some clay terminology. They first rolled out a 'slab' of clay. We used thin wooden blocks on either side of the clay so that I could ensure that they wouldn't roll the clay out too thin or too thick. 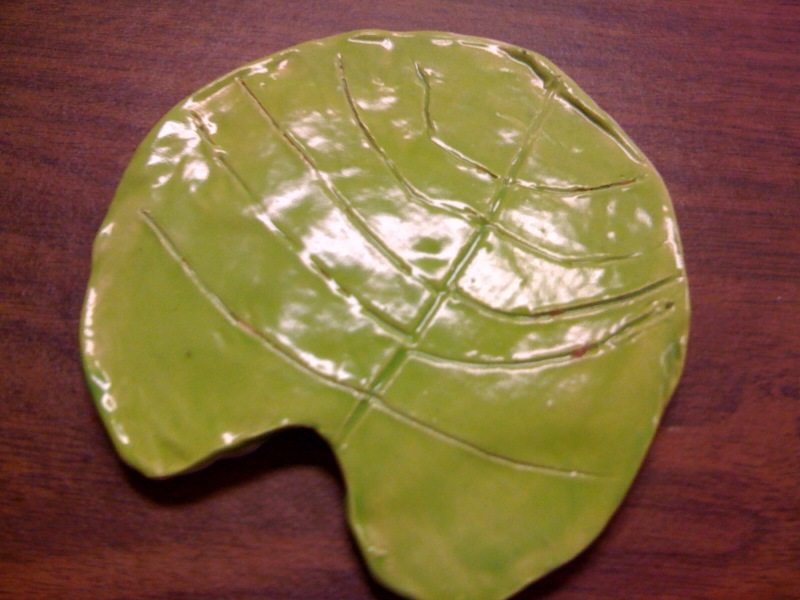 Using cardboard lily pad templates they were then able to trace and trim out their leaf shaped piece. Using wooden skewers they then traced in details, being carfeul not to cut too far into the slab. The flowers were made in much the same way. Once again the kids rolled out a slab, traced and cut out their flower shape. Then they gently lifted the petals to create a flower form. Using different tools around the classroom they added details to the center of the flower. When the pieces were dry they were fired, glazed and refired. 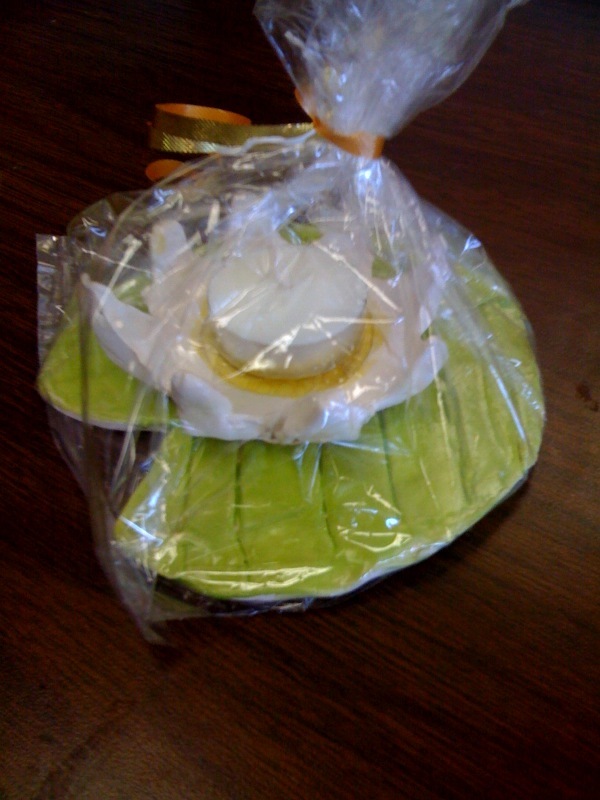 As a final touch we added a tea light and wrapped them in cellophane and gave them to our mom's for Mother's Day! I wish I had a few more photos to share but I never seem to have my camera at school when I need it! These were all the photos I happened to have taken with my phone! Beautiful! Thank you for sharing such a sweet and easy idea. LOVE this idea! I just did these with my third grade class & they came out SO cute! 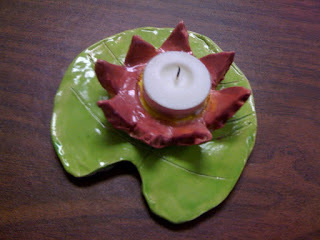 The only change was we attached the flower to the lily pad. They had to be very careful in glazing, but it worked out well.